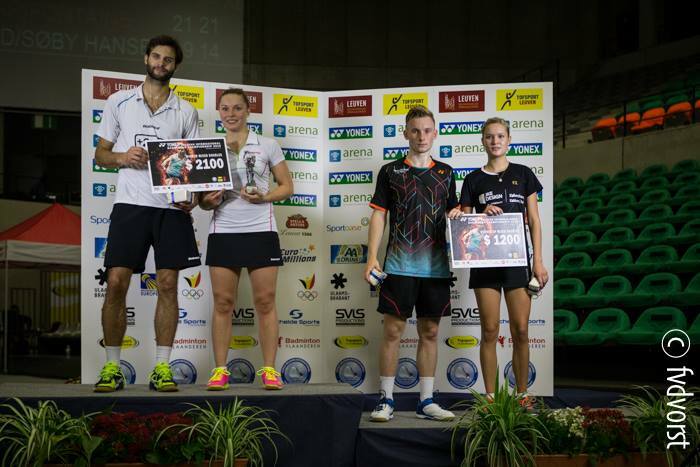 A young Danish delegation failed to seize any of their four opportunities for a title in Leuven, Belgium on Saturday. The French had better luck, with Lucas Corvée and newly formed pairing Labar/Fontaine delivering victories. The Belgian International is a breeding ground for future stars. Best examples are probably Misaki Matsutomo and Ayaka Takahashi. The Japanese twosome won the tournament in 2009 and 7 years later became Olympic Champions in Rio. Also Kenichi Tago (in 2008) and Danish duo Rasmussen-Sorensen (in 2013) won the tournament in the early days of their career. With a new cycle towards the Olympic Games in Tokyo commencing, the Belgian International reflect the many changes across the circuit. With newly formed pairings in the doubles and upcoming youngsters in the singles. Wet behind the ears, it’s no surprise not all of these upcoming stars were able to be victorious in the end. However Chloe Birch, still only 21, managed to gain Belgian gold alongside 24-year old Lauren Smith. The English pair had to dig deep to overcome Danish women and seconds seeds Julie Finne-Ipsen and Rikke Soby Hansen with a narrow 24-22, 18-21, 21-18 victory. Therewith the second defeat for the Hansen family as also Rikke’s sister Ditte lost her final with Alexander Bond. 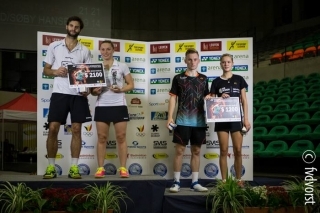 Against Ronan Labar and Audrey Fontaine – playing their first tournament together, apart from a very brief collaboration in 2013 – the Danes fell short and allowed the French pair to mount the podium after a 21-19, 21-14 win. More good news from the French squad, led by Peter Gade, came after a second win of the day with Lucas Corvée (pictured above). The Frenchman, who started to play aged six, finally shed his image as ‘The Eternal Second’, just as his compatriot and cyclist Raymond Poulidor. Corvée ended his losing streak of six lost finals, most recent a defeat against Lucas Claerbout at the White Nights. He denied his Indian opponent Sourabh Varma in a close battle that ended 21-19, 21-19. In the men’s doubles, new Danish duo of Fladberg and Colberg couldn’t defy the odds as they faced Chinese Taipei pair Lu and Yang. Fladberg, who only recently hung up his singles racket, and Colberg lasted only 33 minutes in a very one-sided encounter 21-13, 21-13. Still a rather impressive tournament for the Asians who didn’t dropped a game throughout the tournament. And the bad news continued for the Danes, with the fourth failure of the day. Sofie Holmboe Dahl was up against Sonia Cheah (pictured), the younger sister of Lydia Cheah. 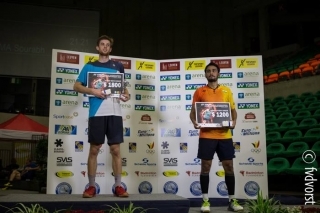 The Malaysian shuttler started off very convincingly with 21-11, but Dahl took the second game 21-16. In the decider Cheah was again the strongest, winning 21-16. It was the first international title for the Cheah family since Lydia won the Malaysia International Challenge back in 2012, the same year that Sonia reached her first Challenge final and her first Grand Prix Gold semi-final. It’s been a long road back from injury for Sonia but this title in Belgium comes in her first appearance after she reached the semis at the Vietnam Grand Prix. 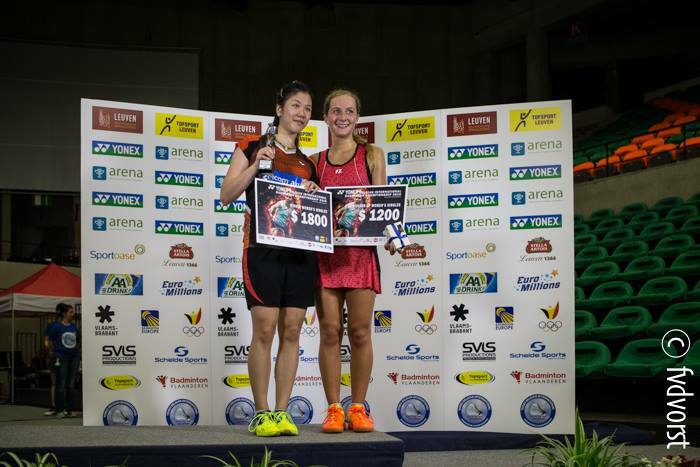 She will be back in Grand Prix action next month at the Chinese Taipei Masters.